Dan started dancing at the age of 9 yrs. Dan at the age of 13yrs was Vice champion at the United Kingdom closed junior latin championships 2014 and finalist in Ballroom. 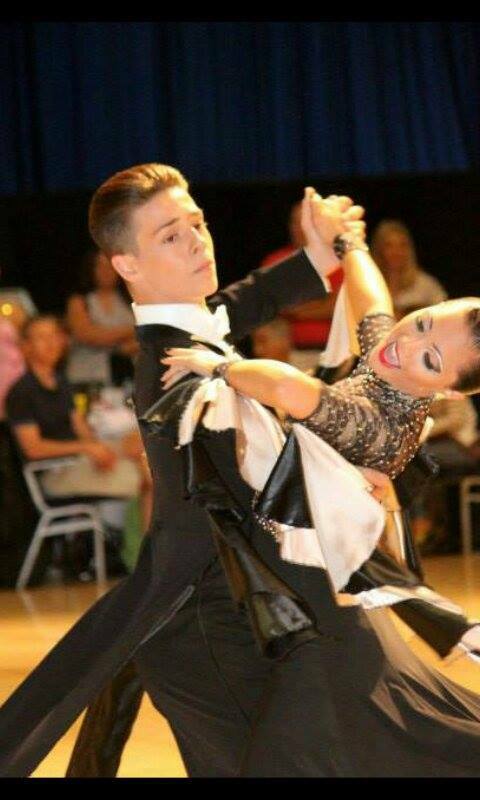 Also still 13yrs he was a semi finalist in the Blackpool junior latin championships 2014 out of 238 international couples and 6th place in the jive. Selected for the British team in both his juvenile and junior career and for the Italian open championships. Placed 3rd in youth under 19 open Italian championships 2014. Winners and finalists in both ballroom and Latin competitions of all British championships. Completely dedicated and focused .Dan wants to succeed and be a champion. Dan competes and trains in both ballroom and latin but would be happy to specialize in just Latin if the partner is right. Completed all his medals in both ballroom and Latin at the beginning of his dancing career. Dan competes Nationally and Internationally at open competitions .Trains daily for several hours a day. Has Trained abroad and in England at training camps.Is used to very strict training.